Pediatricians should push for fewer seizures! The pediatricians of this country, working with the American Academy of Pediatrics, are in a position to help reduce the continuing public health risk of video games and other media that can induce seizures. They should lobby the entertainment industry — something they already apparently do regarding other media matters — to produce games without seizure-inducing images. The media landscape has changed significantly since the AAP drafted its 2011 policy statement discouraging media use in children under age 2. Mobile ownership has increased sharply–the authors note that tablets weren’t available yet when the 2011 recommendations were written. As part of its updated policy statement on media use, the Academy will issue revised advocacy and research objectives. How about advocating for electronic entertainment that doesn’t provoke seizures? There are many angles and interests that must be considered in making your next policy statement. I have a lot to add to the conversation as far as reducing the risks to young people of screen-triggered seizures, many of which go undetected. Would you accept my assistance? I would be happy to help. Pediatricians backpedalling on kids’ media use? How much is the American Academy of Pediatrics retreating from its guidelines on media use in children? We’ll find out when the guidelines are in fact changed. Is the American Academy of Pediatrics changing its recommendations to parents about children’s media use? Not really. Well, yes, in a way. But hard to say. It depends on what you think constitutes a recommendation. As recently as 2013, the Academy’s official policy on media use discouraged any screen exposure for children under age 2 and recommended less than two hours of screen entertainment after that. But in a piece in the October 2015 AAP News, after acknowledging that this advice already appears seriously out of step with today’s media environment, the Academy announced it intends to update its guidelines. No date for the update was provided. So, what is going on here? This is kind of murky. Despite some headlines to the contrary, the Academy of Pediatrics does not have a new policy on children’s media use. Instead, concerned about its reputation and trying to stay relevant, the Academy has published a dozen so-called “key messages” regarding media use “to inform and empower families.” Messages, not guidelines. The key messages are mostly commonsense things like using media alongside your child, setting (unspecified) use limits, creating tech-free zones at home, etc. The messages are decidedly laid-back. Apart from the acknowledgment that “like any environment, media can have positive and negative effects,” the only potential negatives mentioned are sexting, posting self-harm images, and limited participation in other activities. For the record, I strongly disagree with one of the messages: “The quality of content is more important than the platform or time spent with media.” No, no, no. This assertion runs counter to plenty of research on adverse neurological effects of screens. Platform matters: big screens, flashy images, and extended exposure all increase the risk of seizures and other manifestations of nervous system overload! It’s easy for Shapiro and others to be dismissive of any health concerns related to media, when the American Academy of Pediatrics’ “key messages” fail to include reminders that there still are health issues to be concerned about. Issuing these bland recommendations may do more harm than good by creating the impression for parents there’s nothing really serious to worry about. Unfortunately, few families are likely to know about these concerns, because very few will read the article summarizing the symposium’s presentations and recommendations. They’ll just hear the key messages and relax about it all. One can hope that the next round of formal media use guidelines will thoughtfully incorporate these and other health issues related to digital media use by young people. The account of the proceedings suggests that the guidelines themselves will be more nuanced than the so-called key messages. In particular I would like to see media guidelines for kids with mood disorders, ADHD, and autism spectrum disorders (ASD), whose brain physiology leaves them more vulnerable to adverse effects. Given government estimates that 13 to 20 percent of children ages 3 – 17 have a diagnosable mental health disorder, these children’s needs should figure prominently in any policy recommendations by the AAP. Many parents sense that media use affects their children in vague, unseen ways. They’re not imagining it. I have an excellent book to recommend if you’d like to understand more about the way children’s brains–and therefore all aspects of daily function–are stressed by video games. Three years ago I cited a piece by child and adolescent psychiatrist Victoria Dunckley about the effects on the nervous system of interactive screen time. Dr. Dunckley outlined a syndrome of dysregulated mood, attention, executive function, and arousal that develops in response to exposure to video games and other interactive, screen-based applications. I’m delighted that last month she published a comprehensively researched, clearly and compassionately written book explaining how interactive screens affect children’s mood, thinking, and arousal, with a lot of practical guidance on how to restore their children. 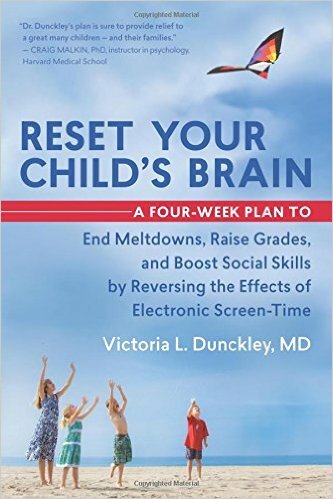 In Reset Your Child’s Brain: A Four-Week Plan to End Meltdowns, Raise Grades, and Boost Social Skills by Reversing the Effects of Electronic Screen-Time, Dr. Dunckley validates parents’ concerns, pulling together research from a range of scientific fields, and in clear language explains screen-time’s effects on the nervous system. Dr. Dunckley suggests thinking about the stress on the brain from the stimulation of electronics use as not unlike caffeine, amphetamines, or cocaine. She makes a compelling case that the nervous system’s hyperarousal (fight-or-flight response) that kicks in while playing video games sets in motion an array of biological mechanisms that lead to significant functional impairments. She says that seizure activity, along with other tangible symptoms including migraines and tics, is at the extreme end of a continuum of nervous system dysfunction due to the brain’s hyperarousal. Irritability and general nervous system dysfunction are at the other end of the continuum. Other symptoms on that spectrum include mood swings, poor executive functioning, poor impulse control, anxiety, depression, body clock disruption, and immune system suppression. Dr. Dunckley stresses that the impairments from screen-time are not limited to screen-addicted kids or those who play violent video games, and that playing “in moderation” can still affect a child’s nervous system. Exposure tolerance varies greatly, so some children can resume limited screen use without relapses in behavior and functioning. Those with ADHD or autism spectrum disorders have a greater likelihood of becoming dysregulated by screen exposure. In general, though, the more stimulating the sensory experience, from vivid colors, rapid movements and scene changes, and multi-modal sensory input, and the more frequently the child is exposed to it, the greater the accumulated strain on the nervous system. The greater that strain, the more difficult it becomes for children to control their emotions and behavior. On to the good news: if given respite from overstimulation, the nervous system can restore itself. Dr. Dunckley has treated hundreds of patients whose mood, behavior, and cognitive abilities have been restored after an electronic “fast,” in which electronic screens are set aside for 3 to 4 weeks for an initial evaluation period. In many cases serious limits or total abstinence from screens is necessary to sustain the remarkable improvements in daily functioning that occur. The majority of the book is devoted to practical guidance for parents on how to undertake the daunting task of disentangling a young person from daily screen use. She is spot on. As some of you know, I’ve been there. 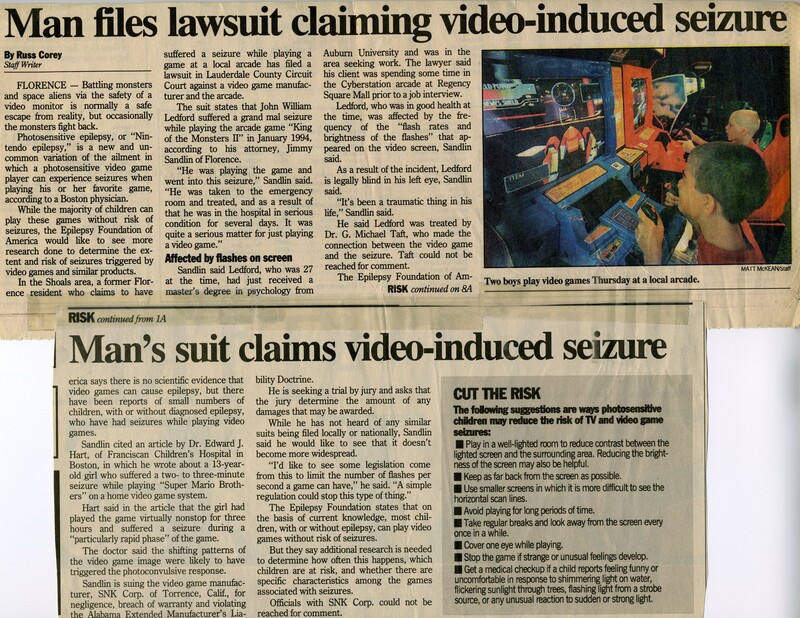 Eight years ago it was a bittersweet revelation to see my daughter’s potential reemerge after a long period of impairments and health problems brought on by video game seizures. She lost several years of optimal learning, social development, and health because of frequent seizures we were unaware of during her daily video game use. We didn’t realize just how severely she’d been affected until she swore off gaming and made dramatic gains. For the record, I don’t hate video games. But I am very disturbed that they can be so damaging to kids’ everyday functioning and potential. Read this book! Share it with your friends, too. Note: I’ve linked to the book’s Amazon.com page so you can see the very enthusiastic reviews posted there. I am not endorsing Amazon, nor do I have a financial stake in any purchase you may decide to make. Later this year parents will be able to monitor a child’s seizure activity by using wearable technology in the form of a sleek, stylish watch with sensors underneath. The $199 Embrace watch, which will debut in October, could eventually offer a way for parents to learn whether the video games their child is playing are triggering seizures. The Embrace won’t be able to do a thorough job of that yet—primarily because the device is currently most accurate for detecting tonic-clonic (grand mal, convulsive) seizures. Many seizures aren’t that type; they’re complex or absence, so the device would need to reliably pick up all seizure types. In addition, the Embrace hasn’t been tested specifically for picking up seizures triggered by visual stimuli. In its initial release, though, Embrace will be able to alert parents to tonic-clonic seizures while their child is asleep or in another room. Most seizure detection devices (except EEG) rely on motion sensors that transmit an alert to a caregiver about a convulsive seizure. The Embrace wristband works primarily by detecting subtle changes in the flow of electrical charges on the skin. These changes in skin conductance are reliable indicators of changes in deep-seated areas of the brain associated with seizures, the hippocampus and amygdala. In times of cognitive, physical, or emotional arousal—and during seizures, these parts of the brain are activated. In some instances, changes on the skin can even be detected prior to the onset of a seizure. As I’ve noted elsewhere, although EEG is the gold standard used by doctors to diagnose seizures, it’s limited in what it can pick up from structures deep inside brain. EEG uses scalp electrodes to detect electrical signals that first must penetrate the outer brain layers (cortex) and the skull. Because electrodes are affixed to the other side of these layers of tissue and bone, not all seizure signals can be detected at the surface. 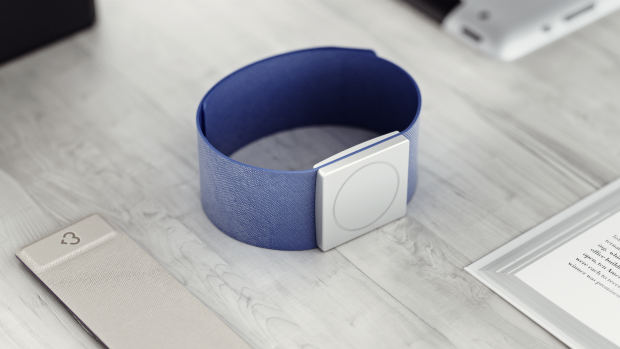 The Embrace sensor technology was initially developed by the MIT Media Lab to help people on the autism spectrum to identify and communicate their stress level. The MIT team subsequently discovered that the sensors could detect not only stress/arousal levels but also seizures, including some seizures not picked up on an EEG. 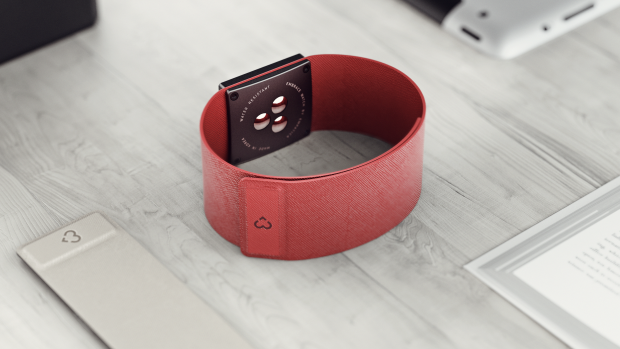 A start-up was formed, Empatica, to bring the wearables to market with the help of Indiegogo crowdfunding. I’m intrigued by the company’s roots in technology to aid people with autism; the autism community is probably at highest risk for photosensitive epilepsy and would therefore significantly benefit by being able to identify visually triggered seizure activity. If your child is fatigued and kind of “out of it” at the end of a gaming session, imagine being able to find out whether hidden seizures are occurring during certain games. Wouldn’t it be great to be able to correlate seizure activity with specific video games? I’d love to see this application of the Embrace watch come about. A video about Embrace is available on Empatica’s Indiegogo page. A study released today in the journal Pediatrics confirms what a lot of parents have already figured out: kids with autism spectrum disorders (ASD) and kids with ADHD spend much more time playing video games than typically developing peers and “may be at particularly high risk for significant problems related to video game play, including excessive and problematic video game use.” Only boys participated in the study merely because both disorders are diagnosed more frequently in boys–there is no reason to expect the results would be any different if girls were included. The study notes that in the general population, long-term. excessive video game use can have a variety of detrimental effects. 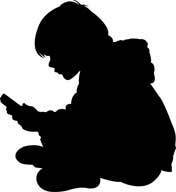 “Although longitudinal research [collecting data on a group of subjects over an extended time] is needed to examine the outcomes of problematic video game use in these special populations…the current findings indicate a need for heightened awareness and assessment of problematic video game use in clinical care settings for children with ASD and ADHD.” Of course, many kids start playing video games before they are diagnosed with ASD or ADHD, so maybe the heightened awareness and assessment should extend to all kids? Without waiting for the results of a longitudinal study, researchers could find out pretty quickly how the brain responds to video games in kids with ASD and ADHD and in neurotypical peers. Hook up all three groups to an EEG while they play, note the differences in the way their brains react. Track brain activity when they aren’t playing, and compare it to their activity in front of a game. This provides the opportunity to show causality. Despite the drawbacks of EEG, it’s the most practical tool for this type of study. I’m willing to bet that the rate of seizures (especially the kind you can’t see) detected during playing is higher in the ASD and ADHD kids. The seizures and seizure-like abnormalities in brain waves have an immediate effect on cognitive function (including attention/focus)and behavior. Inability to focus is a very common post-seizure symptom, and it can last for a day or two after a seizure. A child who plays video games often and who has this sort of neurological response to video games may therefore exhibit inability to pay attention and other behavioral difficulties all the time. I’m still eager to have researchers take up the pilot study I proposed a few years ago that looks at the EEGs of ASD kids and neurotypical kids, both at rest and while playing video games. In the meantime, whether or not the studies are telling us something totally new, if they encourage parents to think more carefully about their children’s gaming habits and question possible links to behavior issues, that’s a good thing. 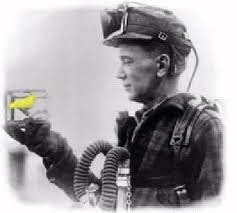 Like canaries testing air safety in a coal mine, people with autism are the first to be affected by hazards in our everyday environment. Martha Herbert reasons in her remarkable book that the rapidly increasing prevalence of autism indicates the disorder can’t possibly be due to genetics alone. 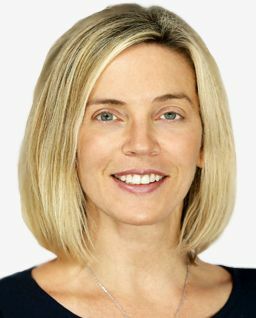 She makes the case, based on findings in diverse fields of medical research and on her own clinical experience, that autism is not a genetic trait destined to be lifelong. Instead, she’s suggesting that the rise in autism is a consequence of the environment we live in, and that many autism symptoms can be reduced by making environmental changes. It’s compelling reading whether or not someone you love has autism, because, Herbert contends, many of the environmental influences that probably contribute to autism will likely affect all of us in time. While the development of autism may begin with genetic vulnerability, she argues, the emergence of the disorder begins after a tipping point is reached following a multitude of modern-day environmental exposures. The cumulative effects of these environmental stresses influence the expression of genes associated with autism, leading to a cluster of brain and body dysfunctions typical of this spectrum disorder. Autism rates are sharply rising because the biological systems of growing numbers of young people are running out of the resilience required amid burgeoning environmental challenges. Dr. Herbert explores environmental influences including toxins, emotional stress, infection, diet, and sensory overload. She cites many cases where people with autism got a lot better when specific changes in these environmental factors were made, thereby reducing assorted stresses on the brain and body. Eliminating the right stressors, which may require considerable trial and error, can allow some children to become significantly higher-functioning, healthier individuals. In any individual, whether or not autism is present, identifying and avoiding environmental seizure triggers can produce big improvements in a range of physical, cognitive, and emotional difficulties associated with seizure activity. Dr. Herbert suggests that seizures, which are not uncommon in people with autism, can cause or exacerbate some problem behaviors in this population. The only study done to date on autism and photosensitivity indicates children on the autism spectrum have much higher rates of photosensitive epilepsy. Given the high rate of other types of epilepsy in those with autism, this is not surprising. To be quite clear, I’m not suggesting that video games cause autism, nor does Dr. Herbert. But preventing seizures that exacerbate autism symptoms can be a major stepping-stone to wellness. Dr. Herbert outlines many steps parents can take, beyond seizure reduction, to limit exposure to things that can magnify autism symptoms and may contribute to its emergence. While not every approach works for every child with autism, she provides a range of additional strategies such as eliminating gluten, dairy, and food additives, regulating sleep, getting rid of toxic household chemicals, and reducing sensory overload. Dr. Herbert does not assume that a finding of “no seizures” on an EEG means that visual stimuli are not affecting the brain’s normal electrical firing. The consequences of brain waves that are “somewhere between ‘normal’ and ‘disease,'” she contends, could be “subtle but still important”–even if no actual seizures are triggered. In other words, even mildly abnormal rhythms in the brain, which can be provoked in some individuals by exposure to visual overstimulation, may result in impaired neurological functioning. Even if your child has not been experiencing actual seizures, Dr. Herbert says these abnormal rhythms due to excessive sensory stimulation from visual media may actually affect the brain’s ability to process information. These “gray zone electrical problems” are not limited to those with autism. Other populations likely to be in this gray zone include people with learning disorders, intellectual disability, or psychiatric conditions—the more vulnerable among us. In other words, it may not make sense to dismiss as irrelevant the EEG abnormalities that don’t clearly indicate seizures. If your child is on the autism spectrum, you probably already know to reduce your child’s sensory overload. One way to do that is to limit screen time and avoid overstimulating content. Try eliminating video games for a few days and see if your child begins to feel better and struggle less with learning, attention, emotions, and behavior. (Your child may be initially quite resistant to this experiment, which will temporarily make things more stressful. To get a fair reading on the effect, you need a few days free of any withdrawal symptoms.) During this video-game-free time all visually overstimulating media should be avoided, including fast-paced cartoons, movies, and music videos. 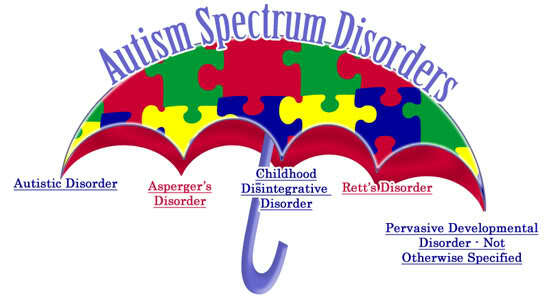 Those whose children aren’t on the autism spectrum should also take note. By applying the canary-in-the-coal-mine model, we may yet learn that visual overstimulation can profoundly affect the functioning and health of many people, including those without autism. When the visual system of anyone with hidden photosensitivity is no longer overloaded by daily video games, lives can be transformed. Could anyone in your family be affected? It’s something to think about. Young people with autism spectrum disorders (ASD) are far more likely than the rest of the population to be photosensitive–susceptible to visually triggered seizures from flashing light, video games, and other strong visual stimuli. Results from a new study made public last week at the American Epilepsy Society annual meeting showed that fully 25 percent of those age 15 and up with ASD are photosensitive. In contrast, the prevalence of photosensitivity among typical young people is said to be 1 in 4,000 (although I believe this is an underestimate). My guess is that photosensitivity among young people with ADHD (attention deficit hyperactivity disorder) is probably higher than average, too, because of these same factors. Here’s why this matters so much: Although it would be difficult to change game usage habits, parents of children with autism should exercise particular caution in allowing exposure to visually overstimulating images. Reducing or eliminating visually induced seizures could result in noticeable improvements in their children’s daily functioning. The last thing these vulnerable kids need is added interference, due to seizures, with cognitive and behavioral flexibility. The study announced last week is the first to look at the photosensitivity rate in autism. It was performed at Children’s Hospital in Boston, where researchers investigated the EEG histories of children diagnosed with ASD. More research is certainly warranted, particularly since the photosensitivity assessments were done the usual way, using photic stimulation with a strobe light. Photic stimulation may show a person’s vulnerability to seizures from a strobe light, but a strobe does not recreate the experience of exposure to a video game screen. Some individuals who do not demonstrate an EEG response to the strobe may nevertheless experience seizures provoked by video games. NOTE: Read more on autism and seizures from sensory overload in this post from 2012. You may also want to read this post on ADHD in connection with and video games and seizures. Safe to play a game that passes the seizure test? “Your EEG was negative.” Don’t bet on it.